First, soak the sesame seeds for about 4 hours in a bowl of water to soften them. Drain seeds in a mesh strainer (discarding the water) and dump all ingredients into food processor or blender. Blend on High speed stopping frequently to scrape down sides. What naturopath do you go to? Do they test your blood? We eat hummus all the time, it’s great! I’m forwarding this on the a few folks. Strong work! this sounds amazing! I’ll have to try it! have you by any chance come across a grain free tortilla recipe? I’ve made them in the past, but always w/ grains. I’d love to make a bunch for quick summer suppers. Any ideas? Thanks for all your hard work, and great recipes! Hi Nora! 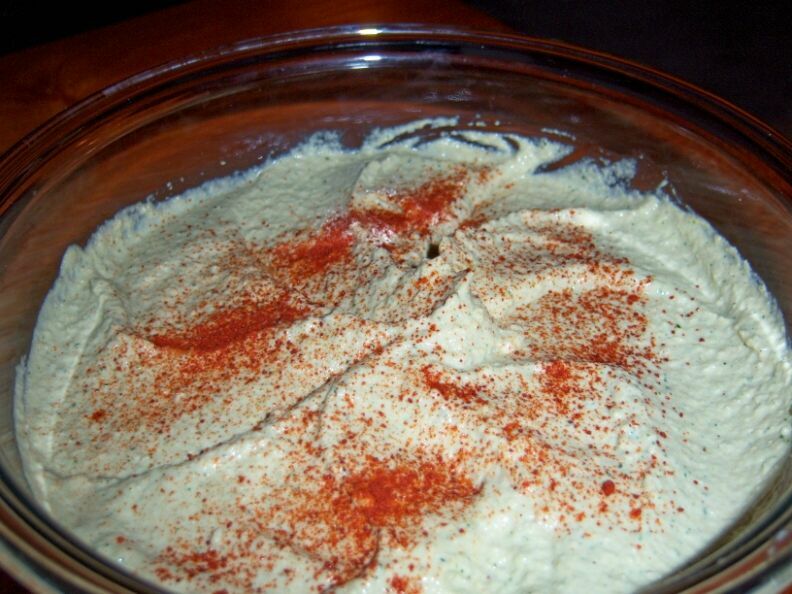 Definitely try this hummus recipe — it is so good!! I’ve not done a grain free tortilla before..hmmm, let me see what I can find or come up with. Will keep you posted!